The two biggest games of the season are going on tonight, and we break them down for you better than you might even be able to comprehend. Note: Streetsblog Los Angeles and Longbeachize are partnering with Los Angeles Walks and Place It! on a grant proposal to the #LA2050 campaign. To earn the grant we either need to win a popular vote or be selected by the Goldhirsch Foundation Board. Either way, your vote is important. You can vote once per category, so just because you support another #LA2050 proposal does not necessarily mean you can’t support our proposal as well. Following an outrageous decision not to punish a negligent and dangerous driver, cyclists took to the street. Hundreds of cyclists met and rode to Beverly Hills City Hall, where they covered themselves with fake blood and told stories of their own crashes on a hot July night. As you can already guess, I’m not talking about last night’s Ride for Justice for Milt Olin, but the 2010 “Blood In” that followed the very gentle caress on the wrist received by Celine Mahdavi for hitting Louis Deliz and running from the scene, leaving Deliz lying bleeding in the street. Unfortunately, the streets in Greater Los Angeles aren’t as safe as they should be. People are killed and lenient judges and sympathetic D.A.s don’t seem all that exercised about it. Life goes on…for those of us who haven’t been killed. These things happen. But the reality is they don’t have to happen. Seventeen years ago Sweden embarked on a Vision Zero campaign* in which, through engineering, education, and enforcement, Sweden would reduce its traffic fatalities to zero by 2020. Traffic deaths are down significantly since Vision Zero began. More recently, New York, San Francisco, and Boston began to embrace a Vision Zero approach to transportation planning and enforcement. It is time for Los Angeles to do the same. And the timing is perfect. The sad response from the Sheriff’s Department and the District Attorney to the distracted driving by Deputy Wood that killed Olin has galvanized the cycling community to act in a way that has not been seen very often. Politically, the stage is set. LADOT General Manager Seleta Reynolds is known for her efforts to make streets safe, including leading the Vision Zero charge in San Francisco. The new mayor in the “most bike friendly city in America” to the South, Robert Garcia, brings a progressive vision to transportation planning, and the city could have a new police chief soon. In Santa Monica, the progressive enclave is preparing for major transportation changes as new developments and the Expo Line are coming in the near future. But there are also obstacles. Some Los Angeles City Councilmembers fight safety projects because a connected group of homeowners claim those projects will slow down traffic. Others do it because…actually, we have no idea what Gil Cedillo is thinking. And that’s why Los Angeles needs an advocacy-driven Vision Zero campaign. The plan we’re proposing to fund would lay the ground-work for an ongoing advocacy campaign aimed at making streets–all streets–safe for road users. Our proposed campaign is designed not only to build on the existing movement, but also to identify community leaders needed to sustain the campaign into the future. A mix of educational advocacy, public events, visioning workshops, and more can make a difference in the short- and long-term. But we’re not asking for your help because you like us or because you believe in safe streets. Over the next dozen days we’ll be making the case for many of the individual facets of our proposed campaign. If you’re already convinced, vote today. If you’re on the fence, give us a chance over the next couple of days to convince you. 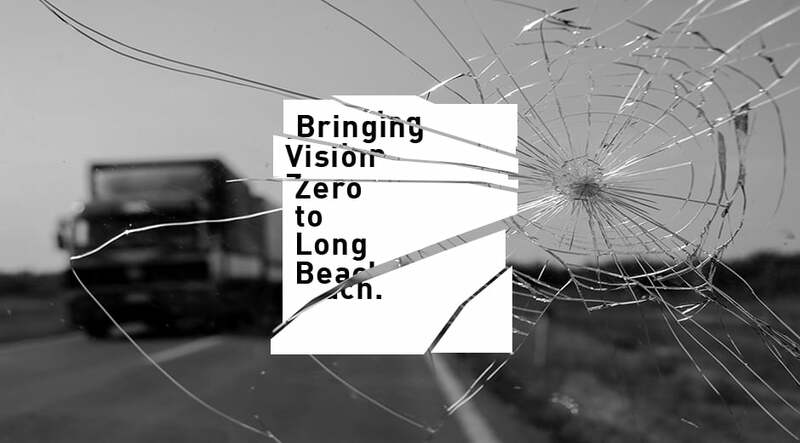 * The campaign wasn’t actually called Vision Zero until 2003.